While packing my things on the next day morning, I wondered about the supreme quality of Black Dog Scotch Whisky, one of the finest scotch whiskies in the world. It was Black Dog Scotch, and a heated argument about the quality international brand, which connected me and Diane together. We became friends, and even more than that. We started our friendship by talking about Black Dog Scotch Whisky, its varieties, qualities, taste and aroma, and gradually we got attracted together, became more than friends. Hats off to the international brand, for its ability to keep people glued to each other, especially in the backdrop of a very luxurious settings. I heard a knock at the door, when I opened it, Diane smiled at me with her bag in her hand. “Diane, what is the plan?” I asked. I was really happy. Living a life with Diane was like a dream-come-true. She unzipped her bag, and pulled out a pack of four of the Black Dog variants. 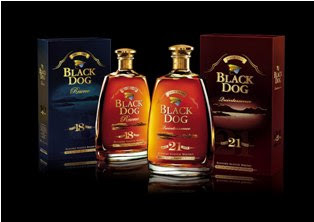 One bottle of Black Dog Quintessence, Black Dog Reserve, Black Dog Deluxe, and Black Dog Centenary each are neatly arranged in it. “I am bringing it with us in order to keep our beautiful memories alive forever”, she said. We saw the airport approaching a few yards away in front of us. Ah sad that it had to come to an end..